To coincide with the wonderful autumn colours, I presented a piece for BBC Countryfile in Westonbirt , the National Arboretum. Much of our fiery autumn colour are foreign species, brought to Britain by intrepid plant hunters such as the American John Bartram. Here I’m telling their story. I presented a piece for BBC Countryfile in Hawkstone Park (Shropshire) - a wonderfully mad garden built in the late eighteenth century in celebration of God and untamed nature. 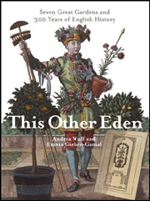 This Other Eden was turned into a six-part series on Radio 4's Woman's Hour. I went to six gardens and told their story and their place in English history, culture and society while walking through them. There are also interviews with the head gardeners. To listen to the programmes click on the name of the garden that you are interested in. 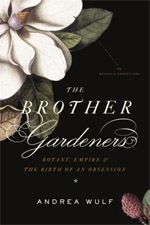 In February 2007 Financial Times columnist Simon Bush interviewed me about the English obsession with gardens.